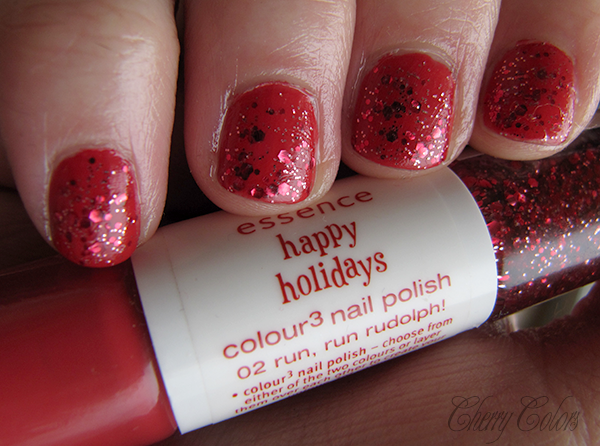 NOTD: Essence Run, Run Rudolph! 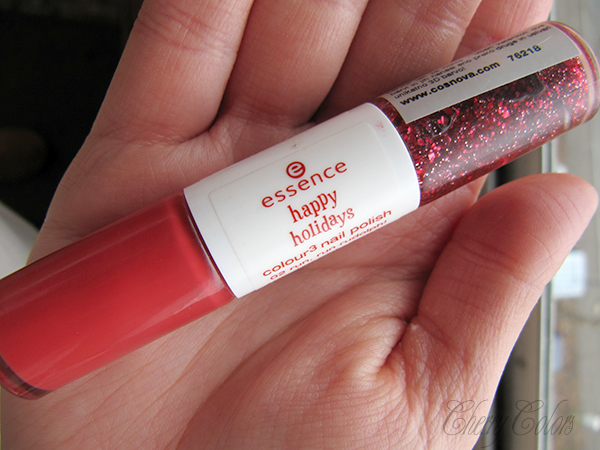 (Happy Holidays TE) - Cherry Colors - Cosmetics Heaven! I got this nice polish as a gift from a friend. It looked more thank pink (salmon pink) in the bottle, but it didn't want to photograph like that. It wants us to believe it is red. Well it is not, it is pink(ish)! I applied 1 coat of the base color and then one coat of the glitter polish. I had absolutely no problems with it whatsoever. 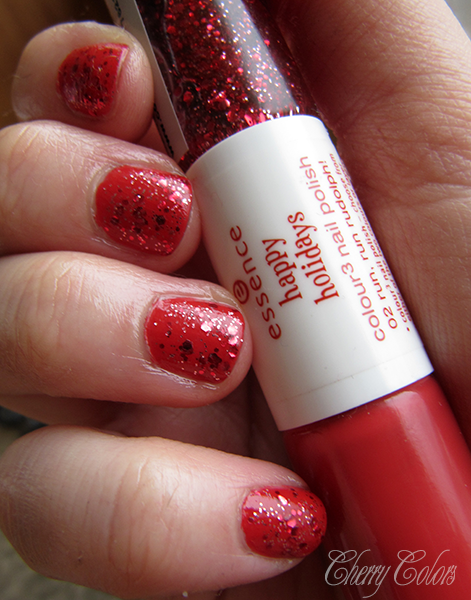 I do like it, but I already have a similar nail polish (which is red and I love red! ), so I feel it may be neglected until next year D:.